Handheld and wirelessly communicating hardness meter of Tapio. Advanced technology for measurement of both, coated machine rollers, and rolls of paper, plastic, film or foil. The measurements of hardness also provide additional information on the measured surface. Measurement results are stored in a standard SD card. This harness meter communicates wireless with your PC or laptop via Bluetooth or wired by a USB cable. 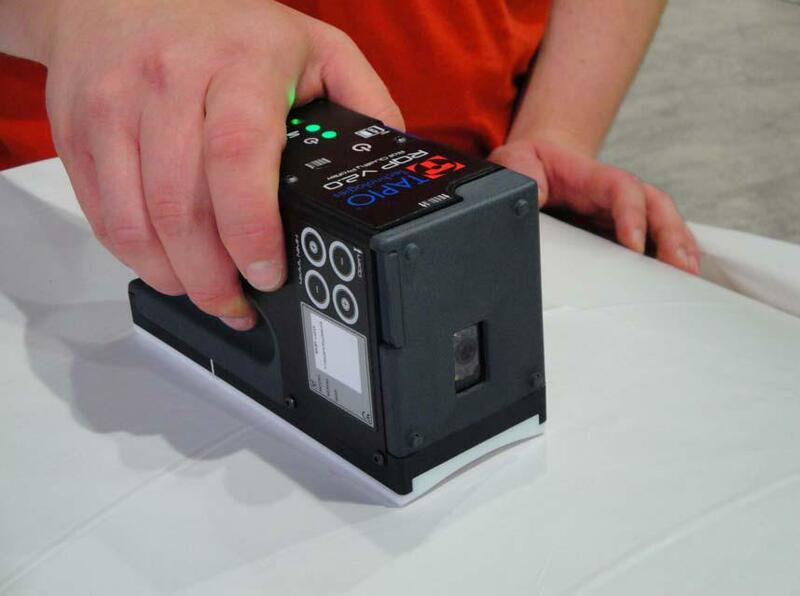 Built-in barcode reader for easy roll-identification.